From what we can tell, there’s a lot of Asian beauty secrets we’ve been missing all these years. Though there are ways to look great through surgeons like Dr. Ellis Choy there are also many natural tips and tricks you can use to stay gorgeous! Here are six of those top-secret beauty hacks Asian women swear by for helping them look and feel amazing all day long. One of the Asian beauty secrets that’s gotten the most buzz in the West? The 10-step skincare routine Korean women use to get glowing! Each step of the routine is carefully designed to make your skin as soft and supple as possible while preserving youth and vitality. Double-cleanse with a water-based cleanser to remove lingering impurities. Exfoliate with a gentle enzyme twice per week. Apply a pH-balancing skin toner. Use an essence, a lightweight cross between a toner and serum. Slather on an ampoule, a type of serum with more active ingredients. Apply a serum that addresses specific areas of concern for your skin. Tap on some hydrating eye cream to the delicate under-eye area. Use a moisturizer to lock in the benefits of this 10-step routine. Massage therapy may be a popular total-body treatment in the Western world – but how many people you know take the time to massage the delicate skin on their faces? Asian women know that the hidden benefits of this ritual include toned facial muscles, brighter complexions and younger-looking skin. Click here to see how you can perform a facial massage on yourself courtesy of Soko Glam founder Charlotte Cho. K-beauty brands are filled with “pore packs” and “steam balms” that help open up your pores and clear blackheads away when exposed to steam. Apply one in the shower to banish redness, clean dirty pores and make your skin positively glowy. Who doesn’t want to hide an imperfection or two from their face? The Korean method of “blurring” is perfect for anyone who wants flawless-looking skin. Simply use any number of “blurring” products to your skin with a makeup brush before applying foundation for “HD perfect skin,” as Nuy Cho phrased it for Redbook Magazine. Many Asian women, such as Suyoun Kim, name the overnight mask as a critical part of their beauty routine. Even if you don’t have dry skin, these masks can have transformative benefits like vitalizing tired skin, preventing aging and, yes, even sapping up excess oil. Last but not least, a massage with a warm, wet washcloth is a surefire way to keep skin supple and smooth all day long. 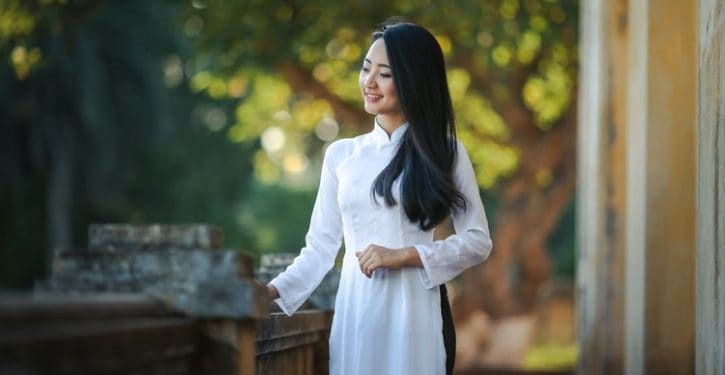 However, Asian girls know that traditional towels made with terry or muslin are too harsh for sensitive skin – so, they swear by the softer microfiber kind instead.